We all need a fresh start on occasion. Atlanta has entered full-blown house cleaning #process territory. Along with the youth movement, they managed to move Dennis Schroder and Mike Muscala for Carmelo Anthony and a protected 2022 first rounder. Melo obviously didn’t fit their plans and they moved on, while paving room for Trae Young to take control of the backcourt in GM Travis Schlenk’s Golden State model. This squad will be bad, but in a fun way. It will be a few seasons until they can eat their lasagna, but at least they’re not Sacramento. This team will be scraping the bottom of the standings along with Sacramento. GM Travis Schlenk’s vision is of a watered down Golden State Warriors. 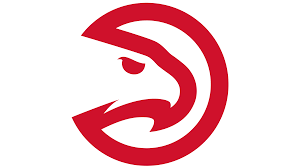 Atlanta will be young, exciting, frustrating, and generally bad in 2018-19, which is all part of the plan. They hold their 2019 first, which could prove to be another key piece in their rebuild. Jeremy Lin is penciled in to start right now, but that pencil mark is light. His starting status could change while you are reading this. He provides veteran leadership and a stable hand that should help steady the ship when the rookies are melting down. Along with the experience, Lin possesses a versatile skill set and could play off the ball if needed. Rookie Trae Young was drafted to be the new face of the franchise in Atlanta. He brings electric shooting from deep with a ton of potential as a setup man, dishing slick assists in conjuction with creative ball handling. Offensively, Young will be closely watched, heavily critiqued, and a lot of fun. His game does have echoes of a young Steph Curry, but he claims he’s closer to Steve Nash. These point guards can share the floor but expect Young to take the reigns once he’s had a little NBA seasoning. Kent Bazemore has always been a fun guy to root for. When he rode the bench in Golden State, he was by far the most hyped bench cheerleader. As a starter on the Hawks, he has been a solid producer, but his value does not come close to matching his $16.9 million salary. Bazemore profiles as an average starting SG, with his best attributes coming in the form of a near triple 1 (1.7 3PM, 1.5 Steals, 0.7 Blocks). His salary, along with his age (29) does not fit with the team plan, so he is a major candidate to be moved. Kevin Huerter was drafted to be the Klay to Young’s Curry. Another deadly sharpshooter, Heurter performed very well at Maryland, where he showed off NBA range and some underrated ball handling. He should start off slow, but as the team fully transitions to focus on getting minutes for their youth, or if Bazemore is traded, the Red Dragon should come out firing and can be a fun source of points, 3’s and a few assists and steals. Last season, Taurean Prince took over post all-star break (19, 4.9, 3.5, with 3.2 3PM and a solid 58.5% TS). The 3rd year player is set to continue being in the lead role for the Hawks, though those post all-star numbers might be his ceiling. As the Hawks integrate more ball handlers and playmakers, Prince may see his assist numbers decrease. Still, he fits the build of a solid wing defender and excellent 3 point shooter, can play the 4 in Atlanta’s Death Lineup, and his age fits with the timeline. Justin Anderson was traded from Philly this summer and he brings solid scoring and 3 point shooting potential, but he will not see many minutes behind Prince. DeAndre Bembry flashed multi-tool potential in his rookie season, but injuries derailed his progression last year. This may be a make or break year for DeAndre, where minutes may be hard to find, though he can play at the 2, so that versatility might help him get a few more minutes. John Collins carries all the hype with him into his sophomore season. A big man in the unicorn-lite mold, Collins brings solid efficiency with points, board, blocks, and 3’s potential. Of all returning Hawks, Collins has the chance to grow the most statistically. He should start at the 4 and can man the 5 when the Hawks plan to go smaller. Once Dedmon finds his way off the team, Collins could find his rightful place at the center position as a stretch 5. Omari Spellman was the third rookie selected by the Hawks in this season’s draft. He fits the general team strategy of having five shooters on the floor, but he has a ways to go before he finds minutes. He could get interesting as the tank season is in full effect. There has recently been talk about Collins and Spellman getting some minutes at the 5, so that is also something to monitor. The consistently underrated Dewayne Dedmon opted in to his final year on his current contract in Atlanta. Forced to adapt, Dedmon was able to develop into a reasonable 3 point threat. This expansion of his game has helped keep him relevant and set to start the season as the clear-cut starter in Atlanta. With recent news of an ankle fracture, Dedmon might not be ready to start the season. The signing of Alex Len provides a solid, young backup who never quite worked out in Phoenix. Len is borderline in terms of age and skills, but he could be a part of the future in Atlanta if he shows out. He should have a solid opportunity early in the season if Dedmon remains sidelined.